California lottery officials say a ticket sold at a 7-Eleven in Daly City matched five out of six numbers in Friday night's Mega Millions drawing. 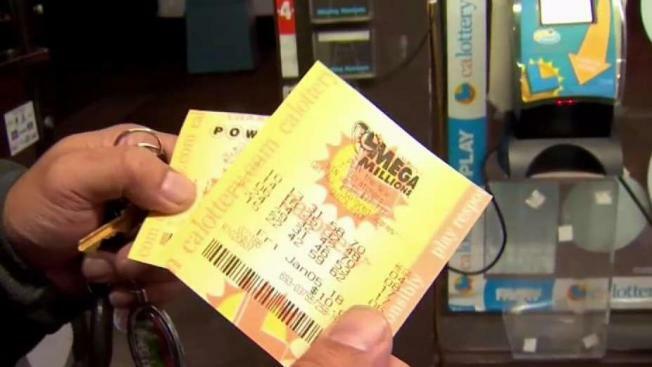 There was one jackpot winner in Florida for the $450 million prize, officials said. The winning numbers were: 28, 30,39,59 and 70 and the Mega Ball 10. California lottery officials said the ticket sold in Daly City won $1.8 million. The 7-Eleven that sold the ticket is located at 411 Gellert Boulevard. No CA jackpot but we sold a 5/6 prize in Daly City. Still waiting to find out the prize amount and if any other state sold the jackpot. Stay tuned. Lottery officials also increased the jackpot of Powerball, the other national lottery game, to $570 million. That drawing will be Saturday night.